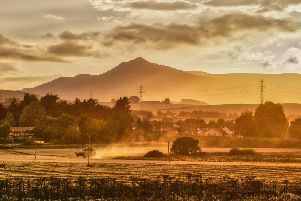 Members of the National Trust for Scotland are being offered the opportunity to apply to join the Board of Trustees of the conservation charity. The Trust cares for more than 100 heritage sites across Scotland including Castle Fraser Garden and Estate, Fyvie Castle, Haddo House and Pitmedden Garden across Aberdeenshire. Trustees will play a key role aiding the Trust as it fulfils its commitment of protecting Scotland’s heritage for future generations. There are three roles to be filled and the Trust is looking for applicants with a broad commercial legal background as well as candidates with an experience of collections management and conservation and in particular interpretation and engagement with visitors and candidates with experience of the commercial management of land, buildings and estates. Anyone interested in applying should visit www.nts.org.uk/elections, or get in touch either by emailing elections@nts.org.uk or by calling 0131 458 0293. The closing date for applications is Friday, April 13.